The 25th International Symposium on High-Performance Computer Architecture was held in Washington, D.C., between February 16 and 20. Over the years, HPCA symposia have enabled scientists and engineers to present their latest findings in this dynamic field of research. The forum has also recognized outstanding work in the form of Best Paper and Test of Time awards. At HPCA 2019, the Best Paper Award went to a research that introduced a simple ROB partitioning scheme called “Stretch.” The research was conducted by EPFL scholar Siddharth Gupta along with his coauthors Artemiy Margaritov, Rekai Gonzalez-Alberquilla, and Boris Grot. The research caught the eye of decision-makers at HPCA 2019 because it focuses on a dilemmatic aspect of datacenter efficiency: How to maximize performance per total cost of operation (TCO) dollar? To achieve that delicate balance, modern datacenters are moving toward aggressive colocation of latency-sensitive and batch workloads. This results in the loss of single-thread performance, which adversely affects the quality of service (QoS). Siddharth and his co-researchers propose Stretch as a mechanism to boost the performance of batch workloads co-running with latency-sensitive services, and thus balance QoS and throughput for colocated server workloads on SMT cores. 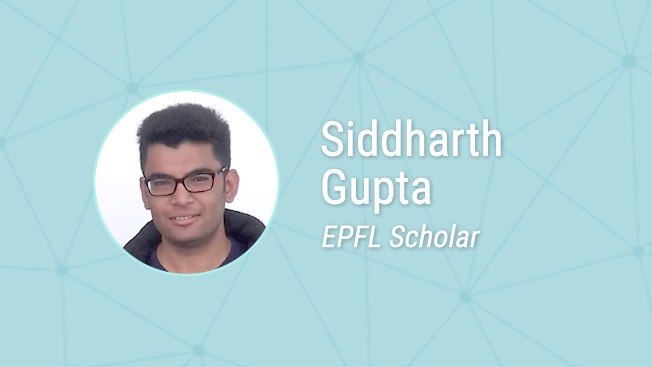 Together with his teaching assignments on computer architecture, operating systems, and operating system implementation at IC, the recognition at HPCA 2019 will undoubtedly reinforce Siddharth’s future research goals at, and beyond, EPFL.